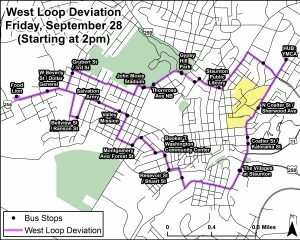 Due to road closures in Staunton for Queen City Mischief & Magic Weekend, BRITE will run modified routes on Friday, September 28 and Saturday, September 29. 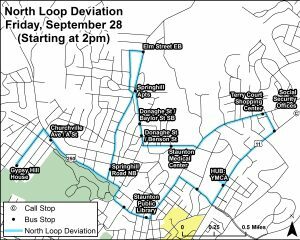 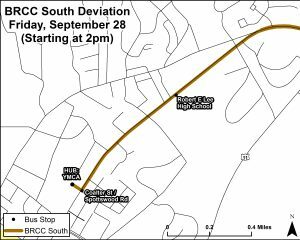 Friday, September 28 – Road closures commence at 3:00 PM. 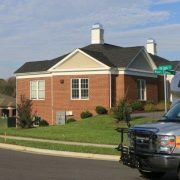 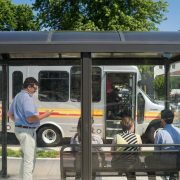 Beginning at 2:00 PM, BRITE will have all routes (BRCC South, 250 Connector, Staunton Downtown Trolley, and Staunton North & West Loops) hub at the YMCA on Coalter Street. 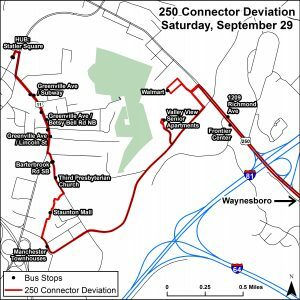 Saturday, September 29 – Beginning with service at 8:30 AM, the 250 Connector will hub at Statler Square Shopping Center. 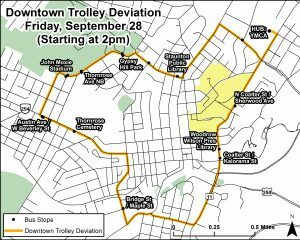 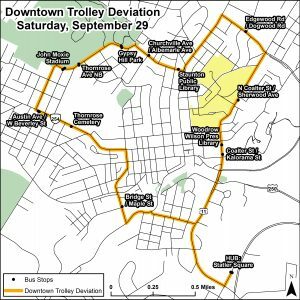 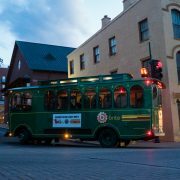 The Staunton Downtown Trolley will hub at Statler Square as well, beginning at 10:00 AM.